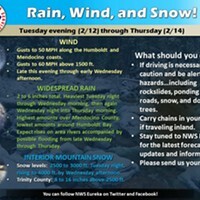 Caltrans has updated that State Route 36 is open to one-way controlled traffic. 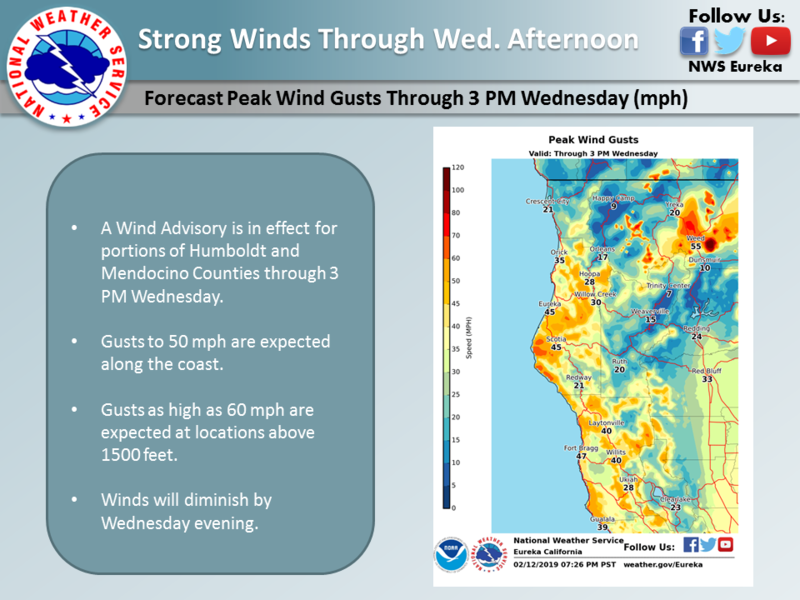 A wind advisory remains in effect for the coast today until 3 p.m. with gusts as high as 50 mph possible and the Eel River is under a flood watch from Thursday afternoon to Friday afternoon. While unclear if it’s weather related, more than 1,200 PG&E customers in Eureka lost power this morning, according to the company’s outage page, joining hundreds of other Humboldt County residents who were also left in the dark. No cause or estimate for restoration was available as of 8:30 a.m.
To find out about outages in specific areas, visit https://m.pge.com/#outages. 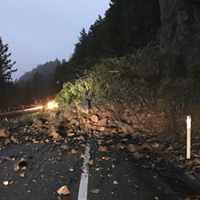 Meanwhile, a rock slide has closed down State Route 36 west of Grizzly Creek Redwoods State Park, according to the Humboldt County Office of Emergency Services. The CHP Traffic Incident Information Page reports that the parks service is saying several large boulders came down in the slide. The parks service is indicating a loader will clear the area. There are no recent updates or estimates on when the roadway will reopen. * from Thursday afternoon to Friday afternoon. * AT 1:15 AM Wednesday, the stage was 3.9 feet. 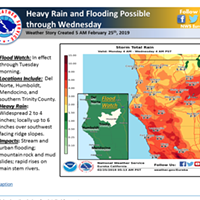 * FORECAST...Flood stage may be reached by Thursday evening. morning then forecast to fall below monitor stage of 14.0 FT.